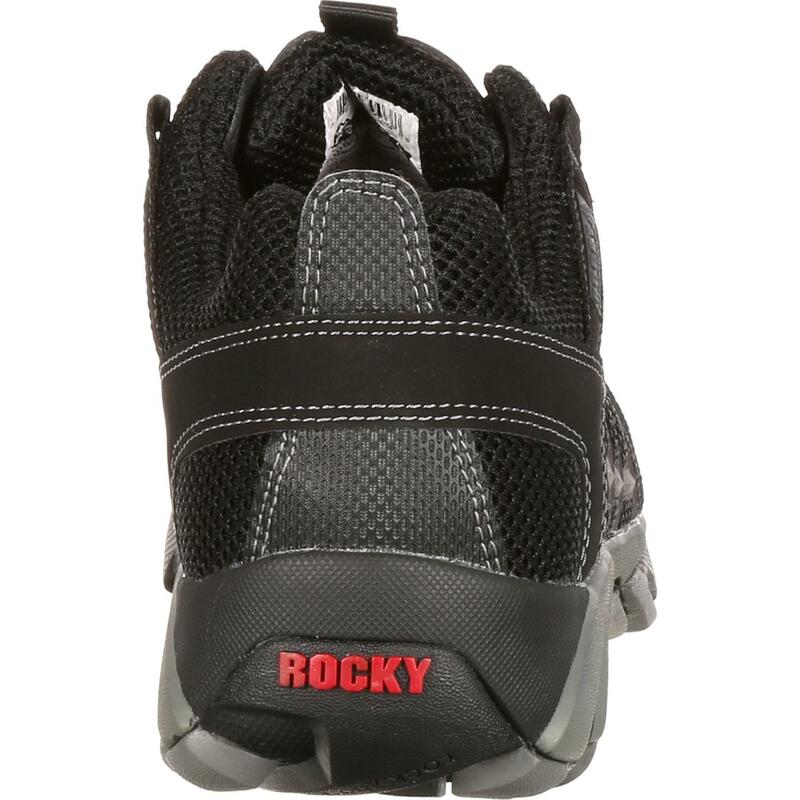 The Rocky® TrailBlade Composite Toe Waterproof Athletic Work Shoe empowers its wearer with the qualities and technologies that keep you confident and comfortable all day. 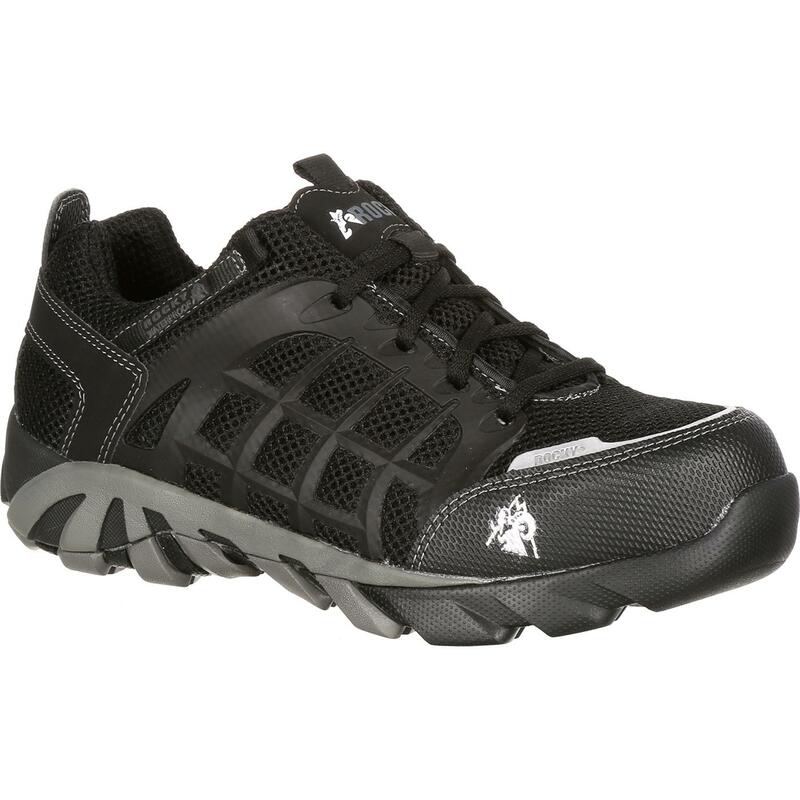 This men's black non-metallic shoe provides you the support to work hard and play hard. Knowing with certainty that your foot is fully protected is key to enjoying your adventurous day. 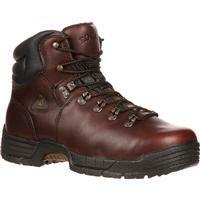 This durable work shoe meets both ASTM F2413 protective toe classification and ASTM F2413 electrical hazard standard. Rocky® strategically situated reflective headlights on the toe of this boot to boost your visibility in worrisome conditions. 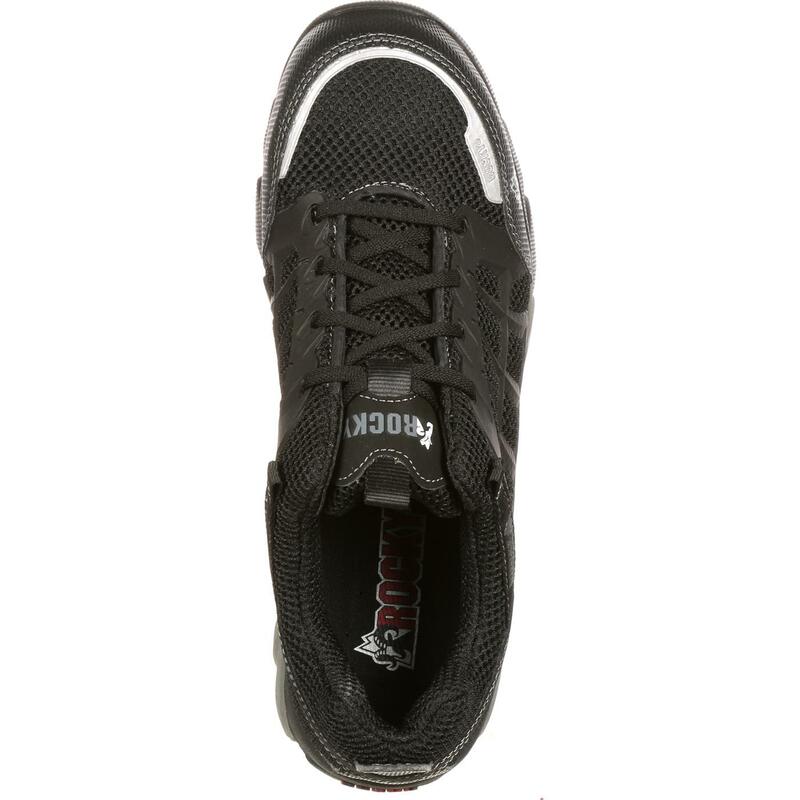 The oil- and slip-resistant rubber outsole steadies your stride with high-quality tread and gripping features. 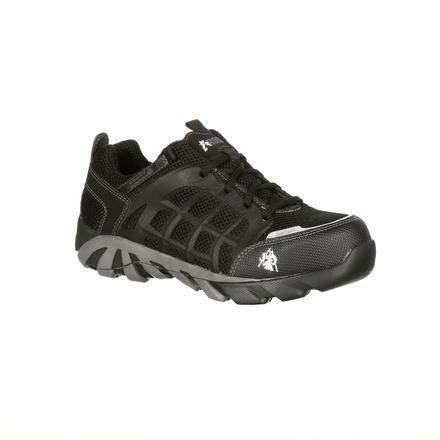 You can overcome the obstacles of any environment, knowing your Rocky shoe will reduce risks and keep you upright. An active day calls for an exceptionally comfortable shoe. 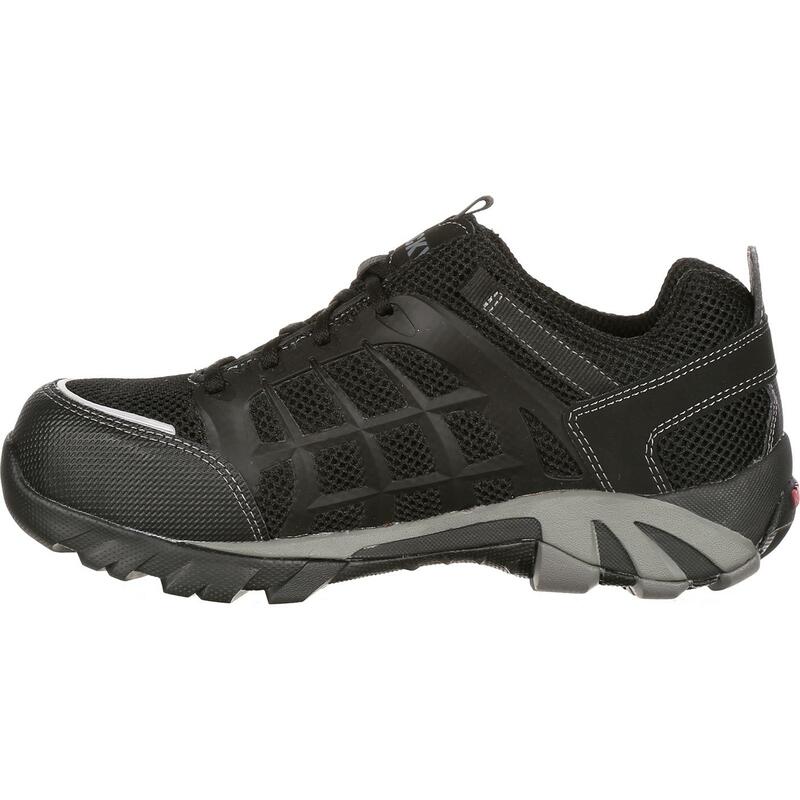 The spacer mesh athletic lining allows your foot breathability and enhancing your overall comfort. The contoured removable EVA insole cradles and cushions your foot as you step. Rocky included a nylon shank to support your arch and stabilize your stride. 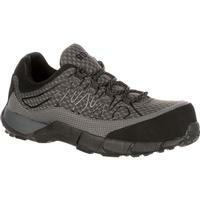 You can depend on this work shoe to keep you comfy during and after your job well done. Guaranteed Rocky Waterproof Construction is a well-performing feature you'll appreciate in an unexpected scenarios. Dry feet are comfortable feet, and yours will be both. 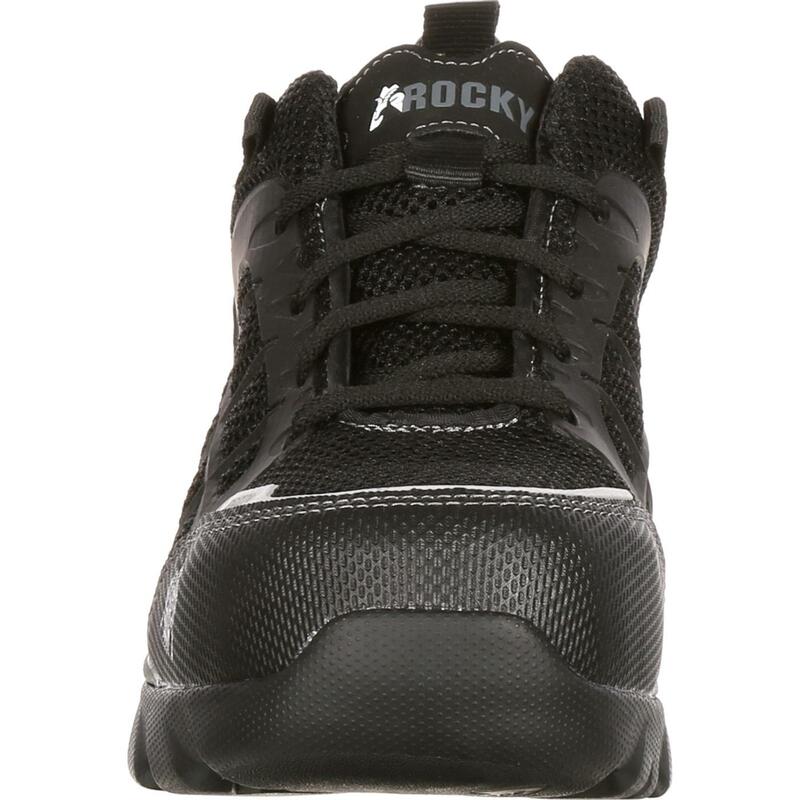 If you're looking for a shoe that achieves as much success as you do, the Rocky TrailBlade Composite Toe Waterproof Athletic Work Shoe is a fantastic find!